NEW DELHI: The world’s largest coffee chain Starbucks Coffee Co. is expanding aggressively in India even as its competitors, including global rivals such as Costa Coffee and Gloria Jean’s Coffees, are having a tough time in the country’s cafe market. Tata Starbucks Ltd, a 50:50 joint venture between the US coffee chain and Tata Global Beverages, added seven stores in the last one-and-half months alone, four in New Delhi, two Bangalore and one in Pune, taking the total number of stores in the country to 43 at present. 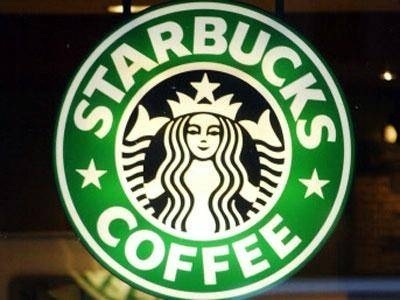 Tata Starbucks alliance opened only one store in India in February and three in January. Tata Starbucks, which entered India in October 2012, said at the time of the launch that it plans to invest $80 million to begin with to roll out dozens of Starbucks branded cafes in India. Starbucks is eyeing a big slice of India’s $300 million cafe chains market that’s growing annually by 20% and is currently dominated by the local chain Cafe Coffee Day that operates more than 1,000 outlets nationwide. Starbucks’ expansion is coming at a time when India’s cafe business is in the doldrums. Dubai-based Landmark Group is seeking to terminate its seven-year-old franchisee agreement with Australia’s Gloria Jean’s Coffees amid heavy losses due to high rentals and competition from rivals, a person aware of the development said. Another global rival, UK’s Costa Coffee, may end its exclusive franchisee agreement with New Delhi-based Devyani International as the Indian firm is not ready to cough up more capital into a business that is yet to turn profitable after nine years of operations. Also, Lavazza Spa has been looking for a buyer for Barista, the country’s oldest coffee chain that the Italian group acquired in 2007. Industry watchers say that the business is becoming difficult to turn profitable even after years of operations. Coffee through bars is a sit-in concept in India where consumers generally hang around such outlets for hours compared to the global phenomenon of grabbing coffee on the go from generally tiny outlets and kiosks. Industry experts say that coffee chains in India must maintain elaborate and plush outlets – and not kiosks – to give Indian consumers what they are looking from a coffee chain even if the proposition turns out to be very expensive, which is making it difficult for many companies to stay in the business and hard to scale up. But Starbucks is doing just that. The world’s largest coffee chain is positioning itself as an aspirational brand in this largely tea-drinking nation, and is going over the top with its stores, some of the plushest it’s opened anywhere in the world. Posted on April 14, 2014, in #india, #retail. Bookmark the permalink. Leave a comment.